Green Pothos is a beautiful and one of the easiest indoor plants to grow. It is tolerant to low light conditions and erratic watering. It can purify indoor air and is a perfect houseplant for area that doesn’t get sunlight. 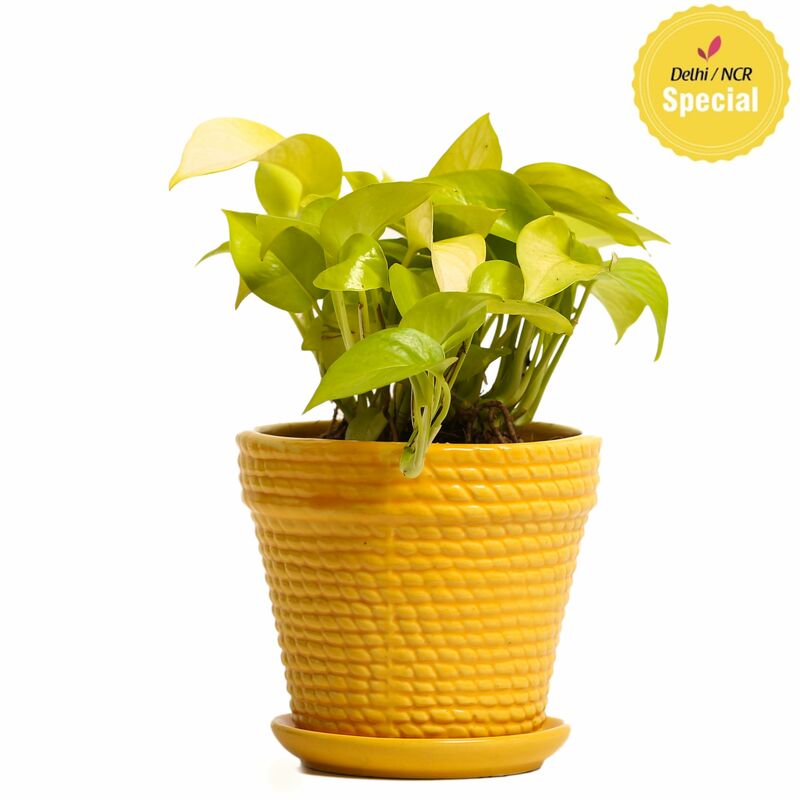 They are good purifiers and remain golden green if kept indoors or in a dark environment. If you want a disease free, healthier roots and higher surviving plant then this luscious beautiful tissue cultured plant are ideal for your home. The plant is placed in a finely crafted ceramic pot with two layered and specially ventilated recyclable package, which keeps both the planter and the plants safe.